Due to rave reviews we return to the Lake Resort for 2019! Once again we will be staying at this beautiful and highly-rated hotel, which lies in the heart of the resort, close to all amenities. We will play on two local courses, the Vale do Lobo Ocean and the Vale do Lobo Royal on what will surely be a week to remember! Designed by Sir Henry Cotton, and featuring gently undulating fairways which run alongside a nature reserve before leading gently down to the shores of the Atlantic. Its two iconic holes are the 11th and 14th where it offers some of the most outstanding views in the Algarve. Inaugurated in 1997, this course was designed by Rocky Roquemore, the top American golf architect, but was based on the original drawings of Sir Henry Cotton. It features the famous 16th hole, with cliff top views it is the most photographed holes in Europe. Everything was very well organised, which made for a really enjoyable trip. Ticked all the boxes! Excellent hotel with quality golf courses. The food and the service in the hotel was excellent - a touch of luxury. 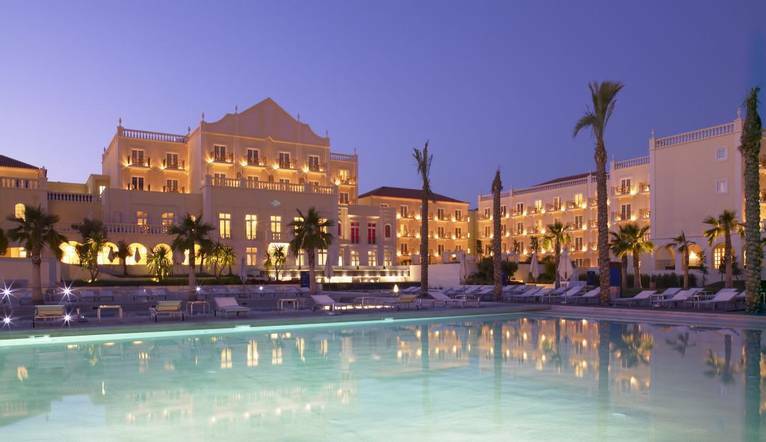 This elegant hotel lies right in the heart of Vilamoura, next to the marina and facing the beach. The Lake Spa Resort offers a taste of luxury in beautiful surroundings, lying in lush gardens, with its own private lake and golden sandy beach. Facilities include 3 restaurants, 2 bars, an indoor and outdoor pool with spacious sun terraces, and an excellent spa with sauna, Jacuzzi and Turkish bath (extra charges). Free Wi-fi is available throughout the hotel. Guest rooms include air-conditioning, satellite TV, telephone, hairdryer and safe. The transfer time from Faro Airport to the hotel is approximately 45 minutes, depending on weather and traffic.